Undertone is real deal breaker for me. If the undertone isn't right the foundation is just ridiculous! There are 3 main undertones; Warm, Cool and Neutral. Warm undertones tend to have Yellow, Peachy or Golden undertone. Cool, tends to have Red, Pink or Rosey tint. And neutral is just neutral. Looking at your veins in your arm can help you determine your undertone. If you have Blueish, Purple veins, you are bound to have a cool undertone. Green veins are a sign of a warm undertone. Once you have figured out your undertone selecting the right shade of foundation is so much easier. 2. Google is Your Best Friend. Unless a foundation is very new chances are there will be some swatches on Google. Although, use these swatches with caution, because they are not always true to colour. But if you look at a few different images it's a lot easier to gauge what shade you're closest to. I also check out some blog reviews of people I have a similar skintone too, and cross referencing reviews and swatches is always helpful. Mixing Drops are my best friend. I tend to always buy foundations lighter so I can make them darker if needed. I love the NYX Pro Mixer drops (see my review here) They come in a range of shades and undertones and they don't interfere with the finish or coverage of the foundation. Following on from my last point, if in doubt go lighter. It's far easier to make a foundation darker than it is to go lighter. You make it darker with a light dusting of bronzer or with foundations drops. These tips definitely help me find my perfect foundation shade online. So I hope you found it helpful. 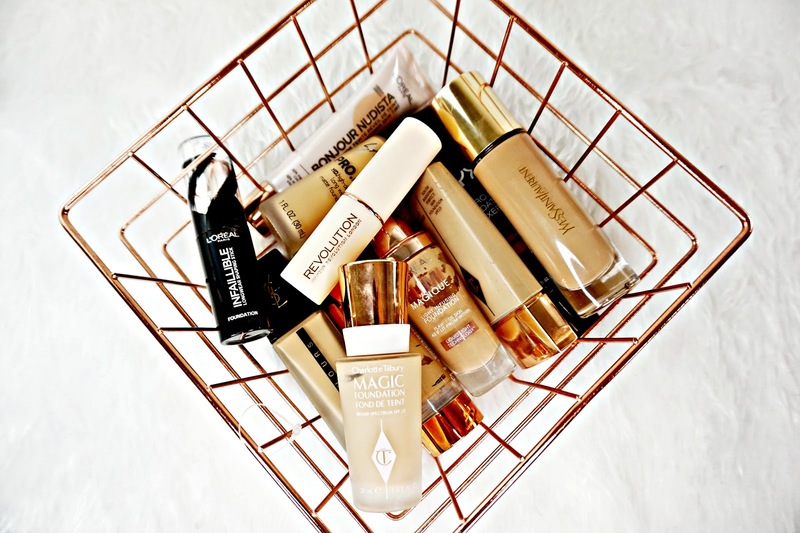 Do you have any tips for foundation shopping?